Bulk Discounts Will Be Automatically Clutched With Quantity. Orders Placed will be shipped on woking business days before 4pm EST. For bulk orders of over 2,000 10 panel 100 cups, PLEASE call 888-936-6627 or 561-409-5151 for even better pricing. Our 10 Panel 100 cups Drug Test is a CLIA waived and FDA approved POC (Point-of-Care) urinalysis cup. It is framed to be both accurate and economical. The drug testing cup has a round design with a no-drip screw top lid, a peel-and-read label, and is leak resistant. Each test cup also contains a built in temperature strip that is used to authenticate the donor’s urine. The 10 panel drug test cup is extremely sensitive and affiliates to SAMHSA predetermined cutoff levels. New lower cut-offs make this the ideal urine analysis test for pain management and addiction screening. Each 10 Panel 100 cups drug test possesses a 99% accuracy rate and is also very comprehensive to use for at home as well as workplace drug testing – considered as fully integrated and self contained Drug screening cup. Results of the 10 Panel Urine Drug Test Cup can be viewed within two minutes or less, although it is advisable that you assess the urine specimen five minutes after the drug test has been taken. Do not wait longer than eight minutes to interpret the result. The 10 Panel 100 cups Drug Test should be stored in a temperature regulated room between 36 degrees and 78 Degrees/Fahrenheit. Do not remove the drug test cups from their seals until they’re ready for use. Bring the Drug Test Cup, specimen, and/ or controls to room temperature (59-78 degrees F) before the use. It is recommended to store it at refrigerated temperatures. Remove the cup from sealed pouch and use it as soon as possible. Want to be certain when you have a group of workers that isn’t violating your insurance plan by getting high at work or breaching your workplace environment ? Need to take or administer a urine test for any reason in any way? Look no farther than 12panelnow. Come for all your bulk testing cup buys. What are a few of the reasons that individuals may need 10 panel 100 cups drug test? There are a whole lot of reasons that someone would have to administer this sort of drug test. Doctor’s demand people to take urine screens to be able to find out if they are on other medications, coping with addictions and taking the drugs, they’re supposed to. Probation offices might realize the deals on 12panelnow.Com are fantastic because of their high number of customers. Not just these, the cost is fairly minimal and you’re getting cups at wholesale prices. The majority ordering ability on this specific website makes it very easy to purchase a high number of those tests for as cheap a price as possible. This can be handy for probation departments and other physician’s places that may require a urine screen for its many unique reasons. 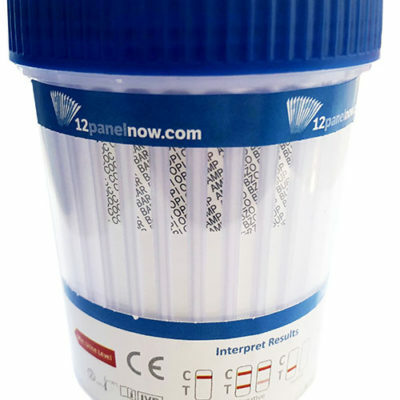 This specific 10 panel 100 cups drug testing includes a rounded design with a no-drip twist top lid, a peel-and-read tag, and is leak resistant. This is excellent because this means you won’t be receiving any pee on your hands when you’re passing the cup back and forth. Each test cup also comprises a built-in temperature strip which is used to authenticate the donor’s urine. This will let you have the ability to tell whether the urine collected is in the right body temperature or if they’re using synthetic urine that’s not up to predetermined temperature. The wholesale 10-panel drug test cup is very sensitive and conforms to SAMHSA cutoff levels. New lower cut-offs make this the perfect urine analysis test for pain management and addiction screening. It’s basically so simple to use and see that anybody can use it at home in order be sure you’re going to pass a urine screen. This 10 panel 100 cups is a fully integrated, self-contained and reliable drug screening cup which offers some of the most accurate information at one place which you can find on the market today. Results of the wholesale 10 Panel Drug Test Cup may be looked at in as little as two minutes or less. However, it’s recommended to check the urine specimen five minutes after the drug test was taken for precise result. This is so the urine has had time to settle and so you can have a proper reading. Results may take as long as five minutes to completely read right. Do not wait more than eight minutes to translate the outcome. This will definitely render the results as possible. If the urine sits to long from the cup it can offer a false outcome. The additional bulk 12 Panel Drug Test cup ought to be kept in a temperature controlled room between 36 degrees and 78 degrees Fahrenheit, since they can be damaged if they’re stored under freezing or too hot. Do not eliminate the drug test cups out of their seals till they’re ready for use. This is what ensures that the cup remain sterile and non-contaminated until they are ready to be used. Provided all these directions are followed, the 12panelnow. Com 10 panel drug test is among the most accurate tests which may be found. Why are these Urine Drug Testing Cups great? These 10 panel 100 cups are absolutely an ideal and perfect choice for a lot of reasons. They’re among the most accurate cups which may be found everywhere and the price is fair if you purchase the tests in bulk quantities. Each cup includes instructions on how to correctly take the urine display sample and read it. There isn’t any need for additional body temperature testing, placing anything into the urine, or anything like that, since the test strips for everything are rightly placed on the cups. This keeps thing far more sterile and safe, which means you won’t be touching yours or someone else’s human waste. This is just about the best thing about these tests.